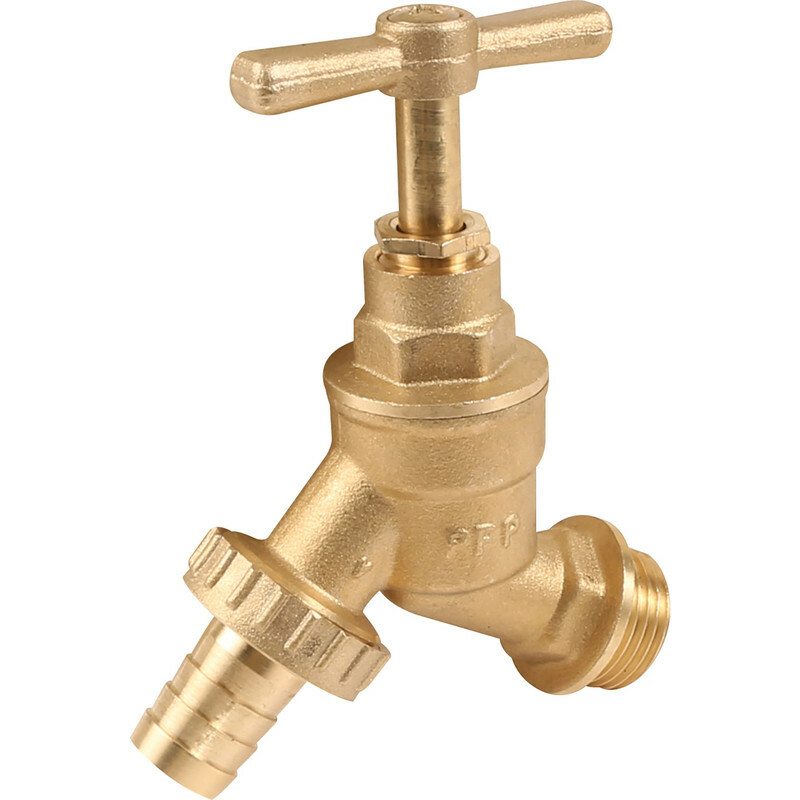 Hose Union Bib Tap 1/2" is rated 4.7 out of 5 by 33. Rated 3 out of 5 by KyleW from Tap fine, screw rusty Tap fine, does the job. Unfortunately (as with most of these cheap taps) the screw on the top is only mild steel, so rusts within a couple of weeks. Surely it would only add a few pence to the price to have a brass screw, considering it is supposed to be an exterior tap. Rated 5 out of 5 by Lavinia from Good value Haven't installed yet, but it seems good quality. Rated 5 out of 5 by putters from water but tap replacement For those who want a brass waterbutt tap this is the one to use, the union Bib tap 1/2 inch with a 3/4 to 1/2 inch brass hexagon bush with PTFE tape. no more leaky plastic taps. Rated 1 out of 5 by Biking Bob from Expected better I bought this tap to replace one on which the seating had gone. It leaked from the spindle gland and makes the most dreadful noise when in use. I never seem to learn my lesson and keep buying cheap rubbish. Maybe this time I'll splash out on a decent replacement.